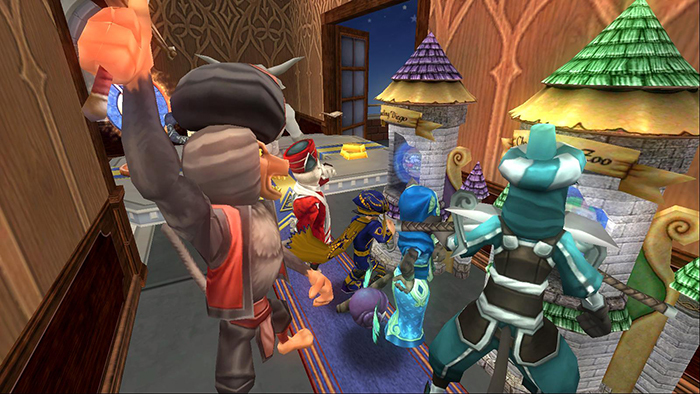 To commemorate Wizard101's 9th anniversary, I am hosting three different contests for the community. They are fairly easy this time around, to give everyone a chance to participate. 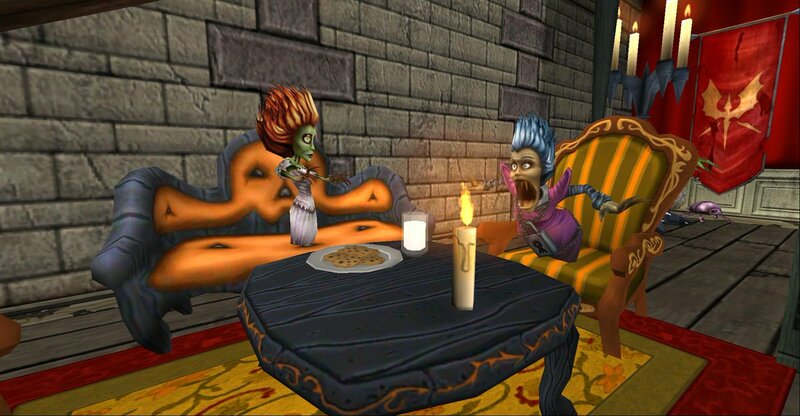 The Banshee below is blowing a candle for Wizard101's birthday, but what could she be saying? Using just one sentence, caption the screenshot and send your entry by email to [email protected], with the title "Caption This", along with your Wizard's name (such as David SilverHunter) by the deadline. Please, keep the caption family-friendly! Thanks to Swordroll for the contest idea! "I hope our boyfriends will visit us for the celebration because i'm DYING to meet them again." "You know, you don't have to be so loud blowing that candle. The neighbors will complain!" "Those cookies don't look gluten-free to me!" "A-AA-AACHOOO!!!! W-What was I doing again?" 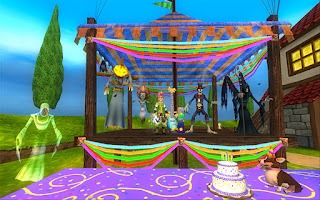 Take a screenshot in Wizard101 and show me how you're celebrating the game's 9th birthday! Hanging out with friends? Paying a visit to old foes so they can have a piece of cake, too? 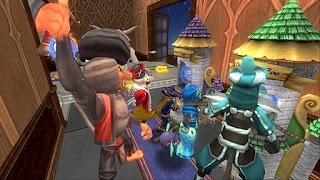 Send only one screenshot to [email protected], with the title "Birthday Fun", along with your Wizard's name (such as David SilverHunter) by the deadline. 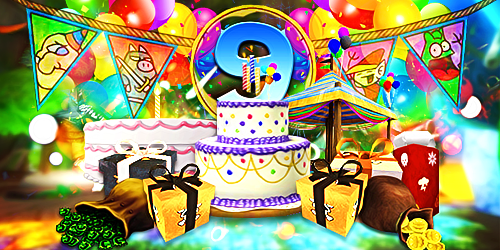 "Ready for some ninth party fun!" "Playing video games against other people." 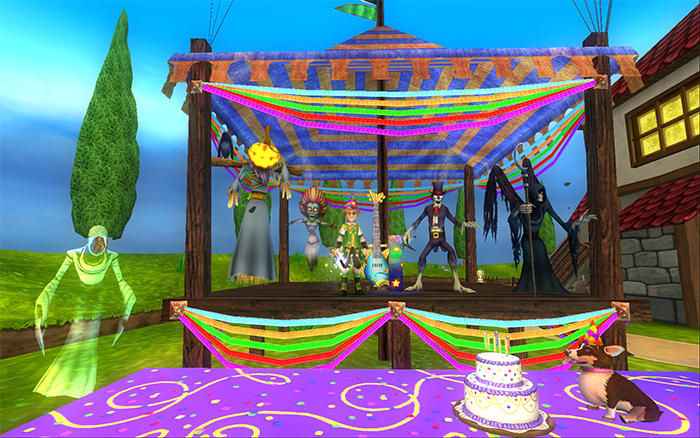 "Celebrating with some of the original Undead Cast of Wizard City." Winners will be announced and contacted on September 4th, 2017. 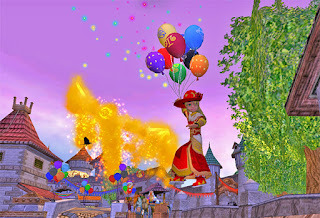 Thanks to KingsIsle for providing the prizes!